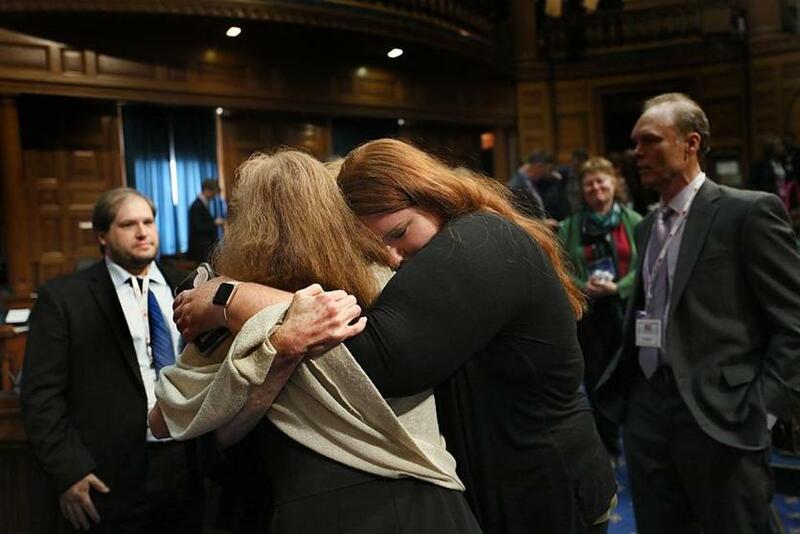 The family of Madeline "Amy" Sweeney, a flight attendant on American Flight 11, embraced at the State House. Her daughter Anna Sweeney is on the right. 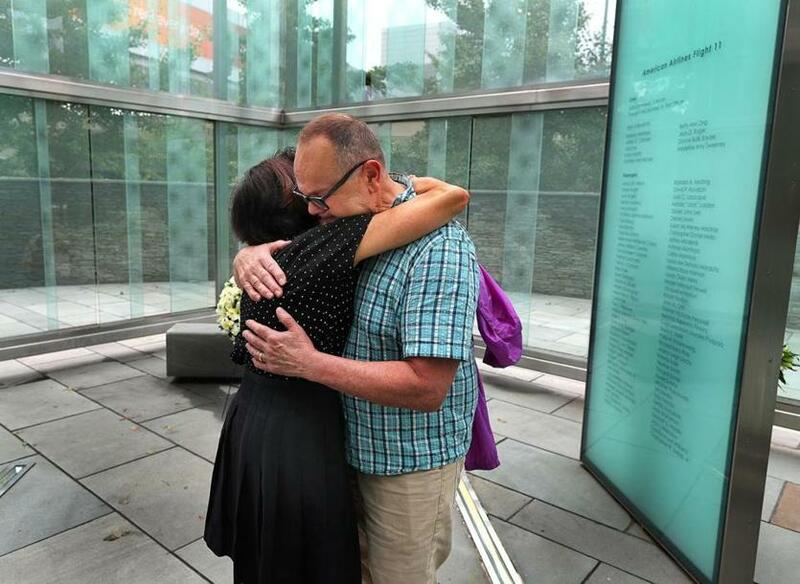 An emotional John Krajovic was hugged by Joni Belfiore inside the Logan Airport 911 Memorial. Krajovic was the Massport Project Director for the memorial, and Belfiore is an employee of Massport. 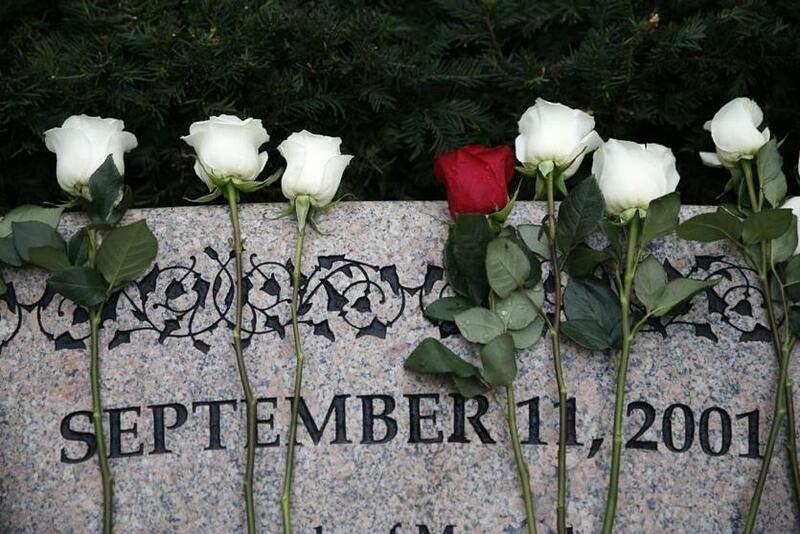 Roses adorned a memorial wall at Boston Public Garden. 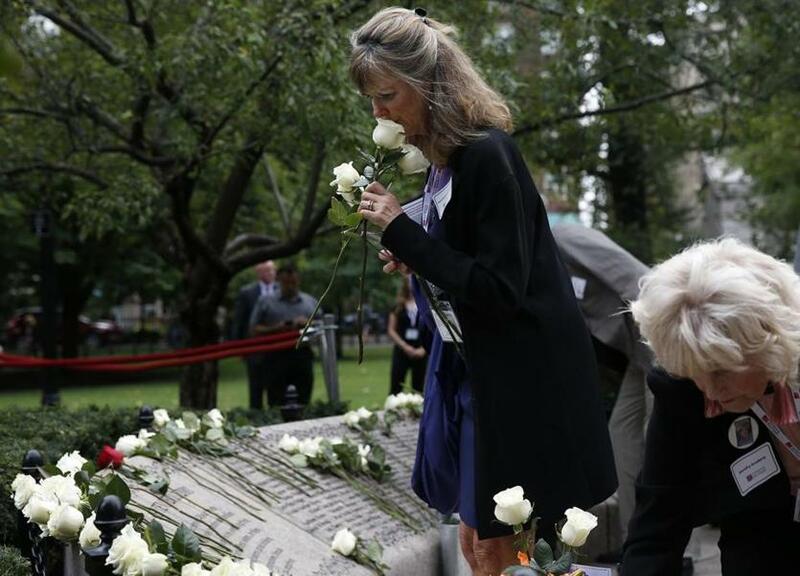 A family member placed flowers at Boston Public Garden. 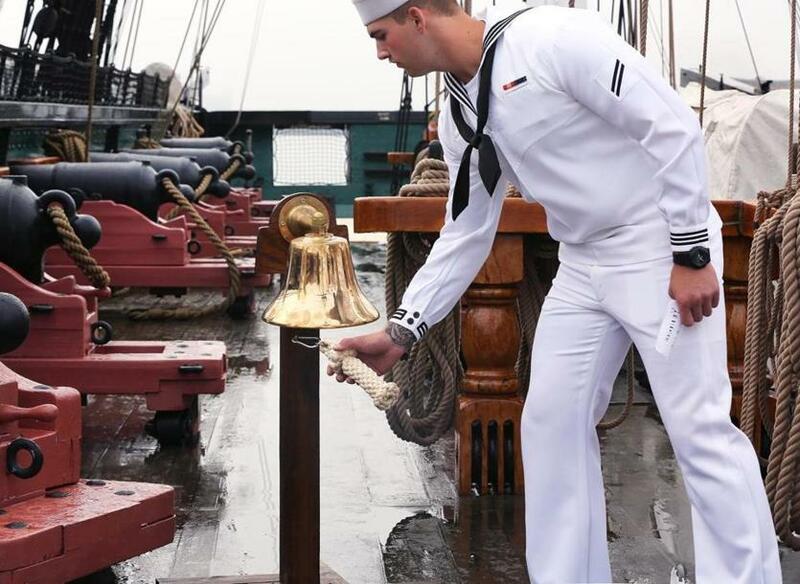 Ziven Meyer rang the ship's bell on the USS Constitution before reading the name of Yeneneh Betru, who died on 9/11. 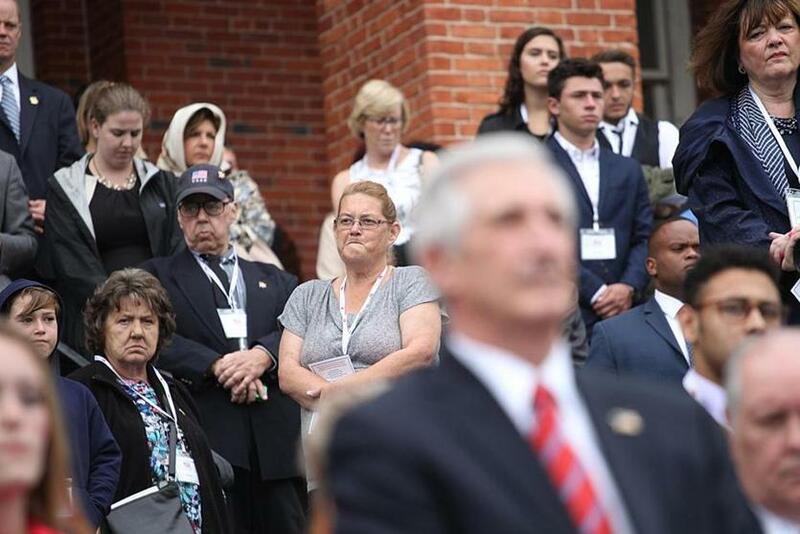 The faces were solemn on the steps at the state capitol during remembrances there.